I have seen this list several times and wanted to share the photo. 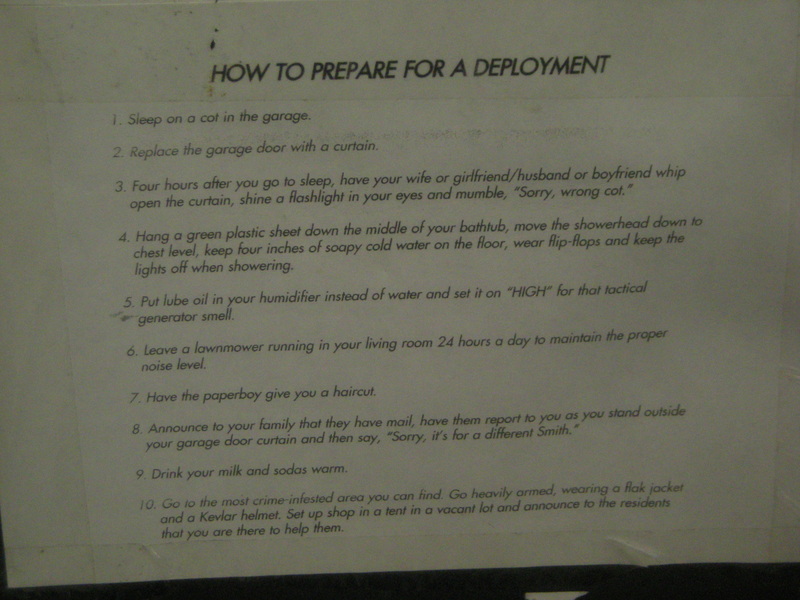 If you have endured any of the above while down range, then this list might bring a smile to your face also. Enjoy!